What is Black Pepper Oil ? Black Pepper essential oil is light amber in color and has a spicy hot aroma with a bite, and a subtle hint of floral. The oil is steam distilled from the tiny sun-dried fruit that are picked before ripe. 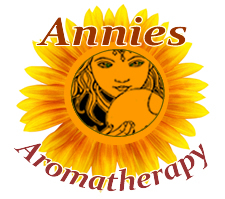 A vital role the essential oil plays is to activate, stimulate, and enhance the other oils that it meets in blends. No doubt, it would be valued for these properties alone, even if it did nothing more. 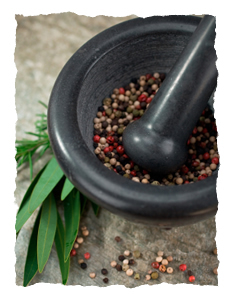 Black Pepper has been used in homeopathic medicine to improve concentration and headaches. Used externally, it is analgesic and stimulant to the mind and body. It also stimulates circulation with its warming properties and is used to help arthritis pain. Black Pepper essential oil blends well with most other oils, and especially well with cardamom, frankincense, juniper, orange, nutmeg, vetiver, rosemary, sweet marjoram, clove, clary sage, lavender, and ylang-ylang. Due to its valued function as an activator, it is well worth trying with any blend. Massage this warm-up blend into muscles before exercise to prevent muscle pain. Black pepper essential oil is a skin irritant in high concentrations. Pepper is one of the oldest known spices, and was important enough to early medicine to be included in the Herbals of Dioscorides and Galen. Botanical Information - Rituals & History : Black pepper is native to south India and is still cultivated there and in Vietnam and other tropical regions. The pepper plant is a woody, spreading vine that grows up to 13 ft high and is supported by either trees or other means of support.